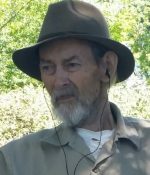 Remembering Phillip T. Catlett | Remembering Phillip T. Catlett | De Soto Obituary Search | Dietrich-Mothershead Funeral Home, Inc. Remembering Phillip T. Catlett | De Soto Obituary Search | Dietrich-Mothershead Funeral Home, Inc.
Phillip Theodore Catlett was born April 29, 1928 in Clayton, MO. He was the son of Joseph E. and Mildred Catlett. He passed on June 13, 2018 at his residence in De Soto, MO at the age of 90 years. He is survived by his sisters, Dale Lafayette, Imperial, MO; and Ione Grawl, KY; step-daughters, Ruby (Keith) Sutton, Annapolis, MO and Alberta Miller, De Soto, MO; step-son, Eddie (Glenda) Schutte, Mapaville, MO; and fifteen grandchildren. He is preceded in death by his parents; wife, Frances (nee Schutte) Catlett; and brothers, Joseph & James Catlett. Phillip worked as a maintenance man at the Jefferson County Courthouse.